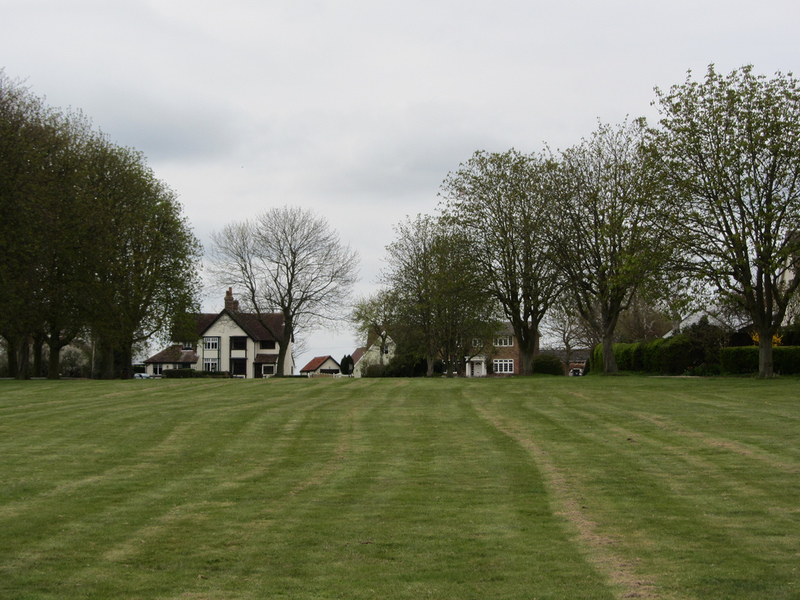 You may have wondered how we came to have such wonderful public greens in our village or why so many homes are set so far back from the roads. 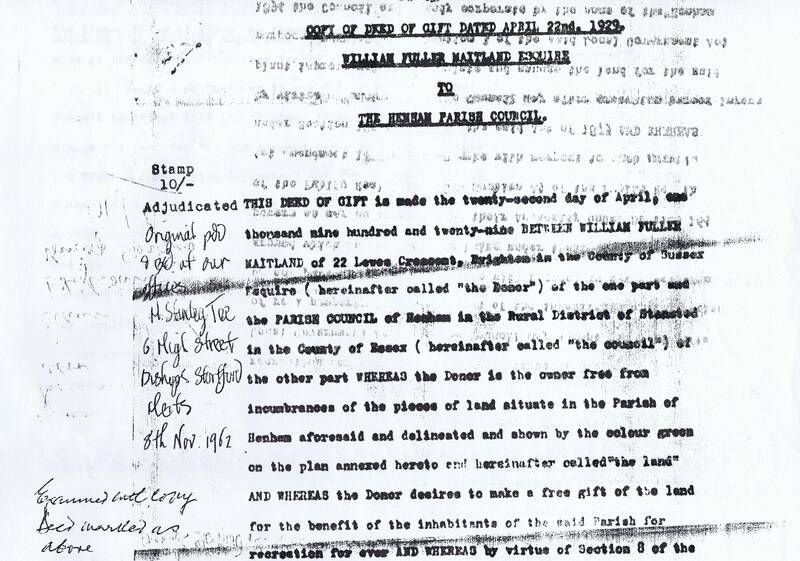 We are very grateful to the owners of Forge Cottage in Church Street for their generosity in allowing us to make over 70 images from numerous documents relating primarily to the history of Forge Cottage and its occupants. 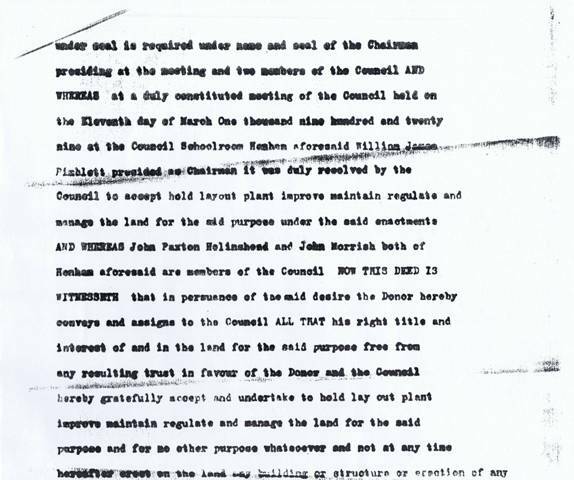 Amongst those documents was a copy of the gift of Henham's greens to the inhabitants. 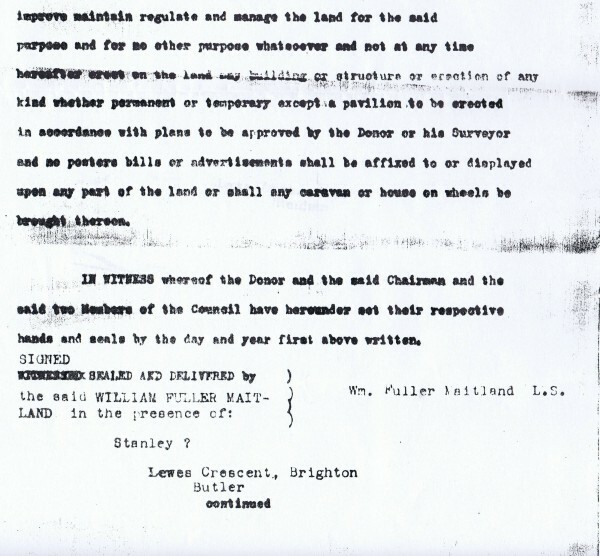 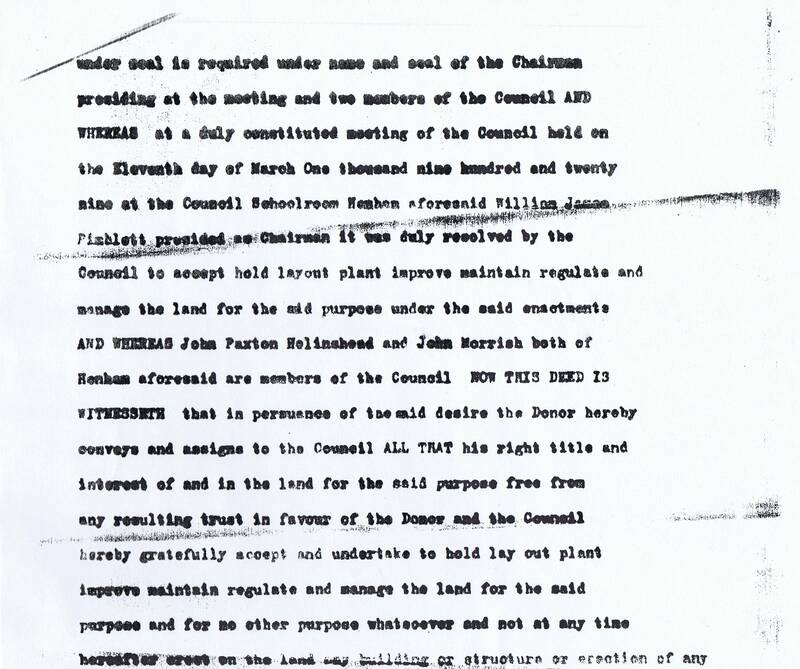 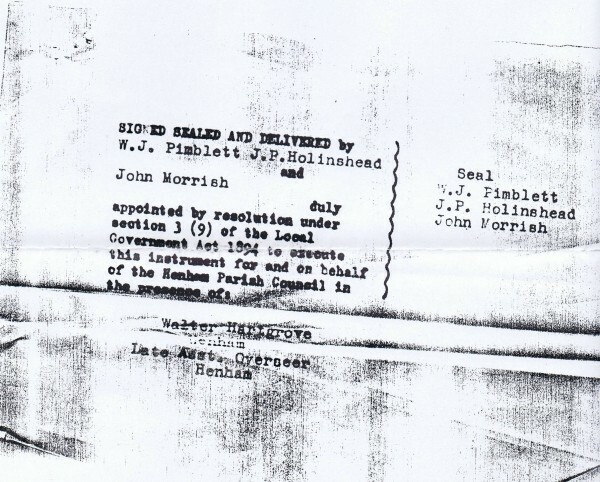 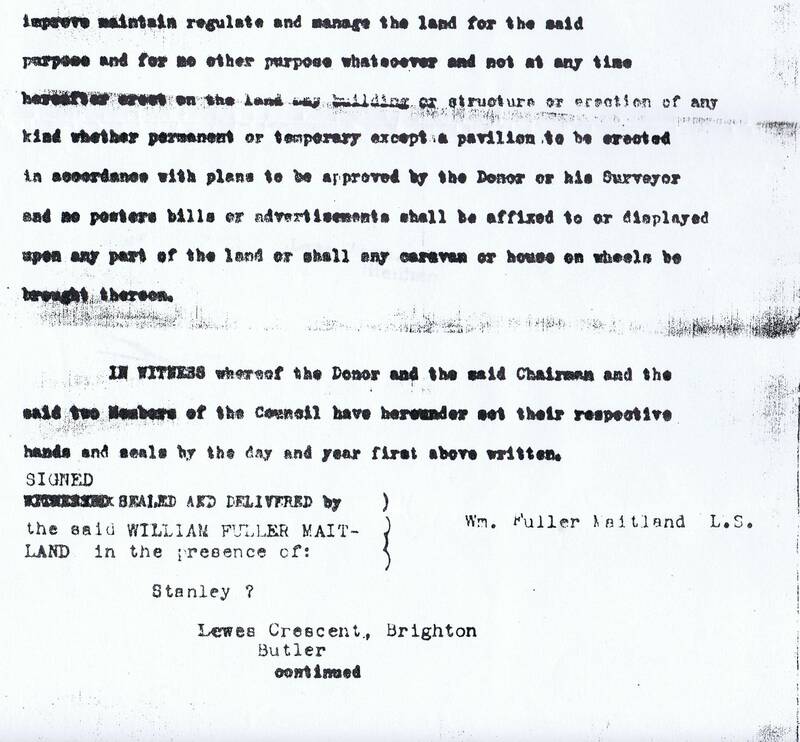 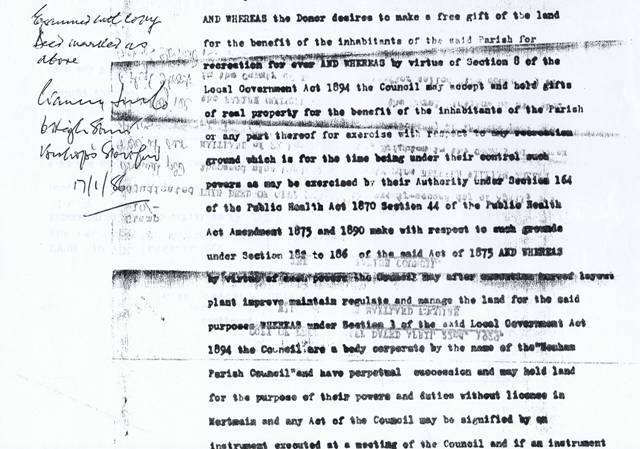 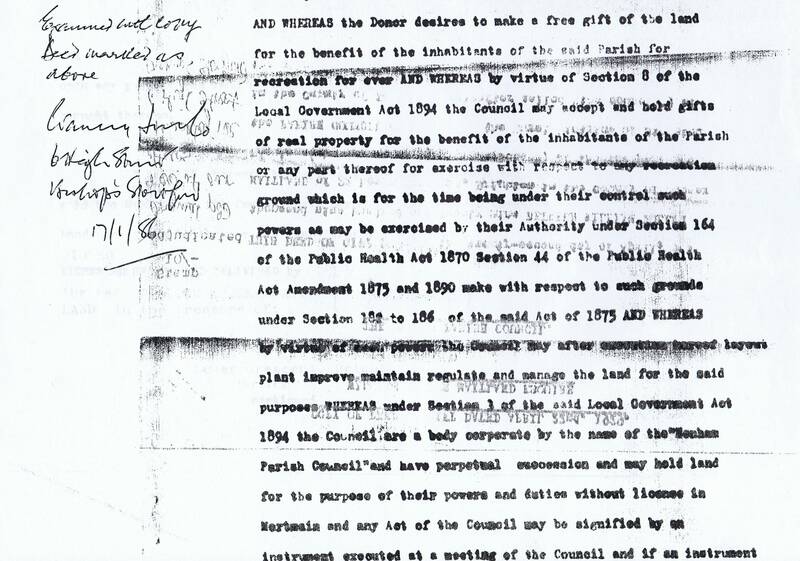 The important document shows that on the 22nd April 1929, the then owner of the Henham Hall estate, William Fuller Maitland, gave the greens as a free gift to Henham Parish Council 'to manage for the benefit of the inhabitants for recreation for ever and no other purpose'. 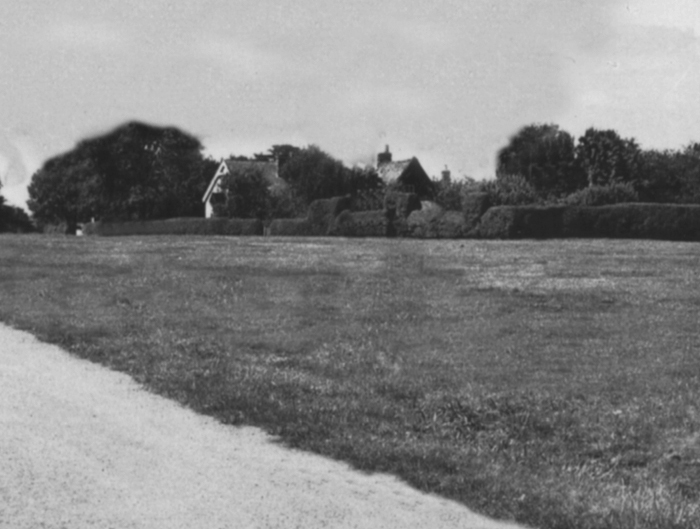 Most of us probably have never given the origin any thought. 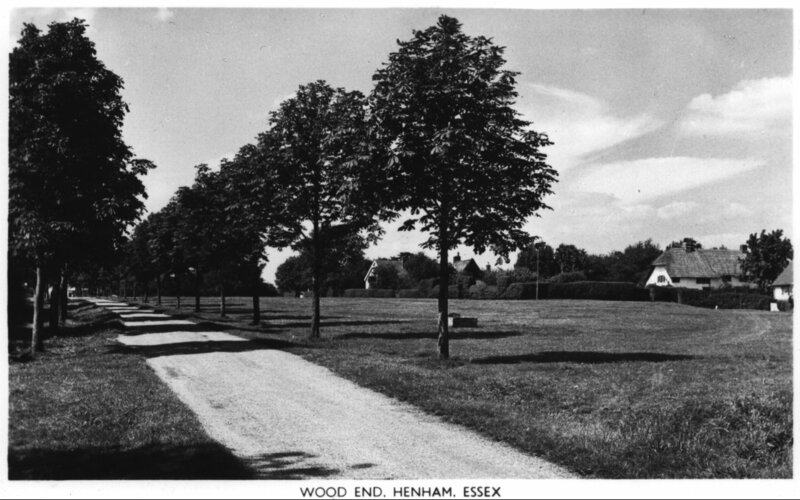 Consequently, and sadly, there is no recognition in the village of this moment of generosity which has forever marked Henham as being so different from its neighbours, near and far. 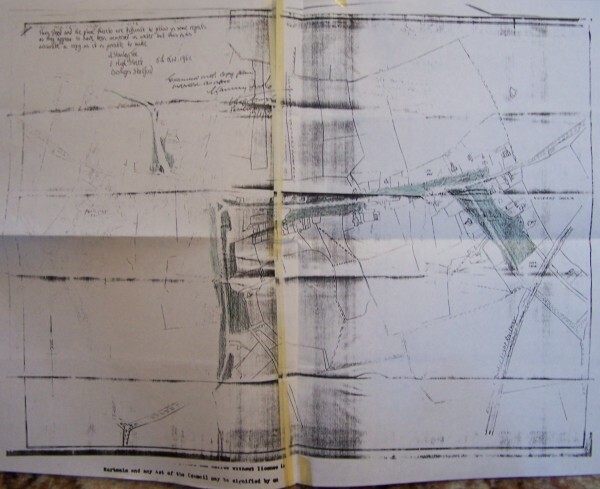 Below is a map drawn in 1929 showing the greens, followed by a copy of the bequest.